There are certain goals you set for yourself as an author. They’re lofty and huge…things you see yourself achieving…..one day. Never in a million years would I have imagined I’d see a title of mine on a list less than a year since I first published. I’m humbled. I’m speechless…okay, not really–obviously. But I’m incredibly grateful. Thank you to everyone who has fallen in love with the characters from the Ready series–those of you who have reached out to me and shared your own stories of heartache and love. You mean the world to me and I can’t begin to express to you how much this wild ride over the past year has changed me–for the better. Comments Off on Best. Day. Ever. Ready to Wed – Cover Reveal!! It’s Cover Reveal Time Again!! As some of you know, a few months ago I wrote a novella entitled Ready to Wed and donated it to charity. For three months, Ready to Wed was included in an anthology called Pink Shades of Words which raised money and awareness for the Fifty Shades Breast Cancer Team in Santa Barbara, CA. In that time, we were able to raise over $3,500. It was an amazing thing to be a part of and I am so honored to have been asked to participated in the 2015 anthology as well. Since the anthology was a short time publication, many readers began asking me if I planned to republish Ready to Wed. I can know share with you that yes, I do plan to re-publish and soon! 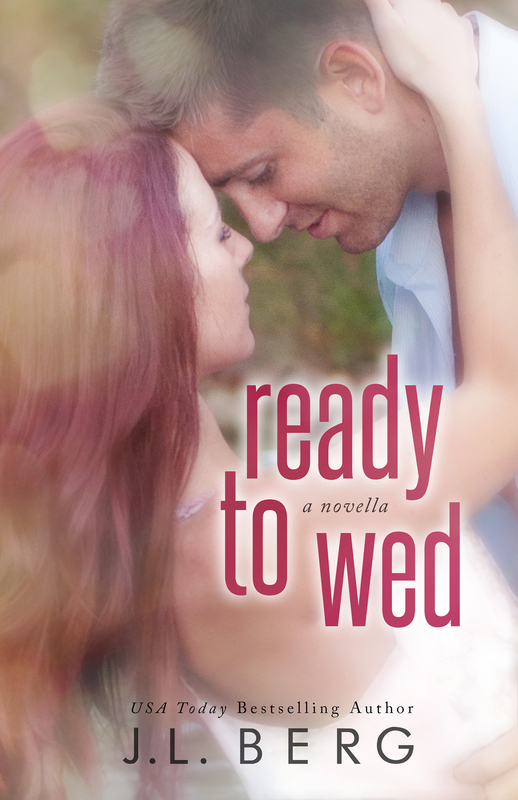 On June 16th, Ready to Wed will be republished on its own…with it’s own beautiful cover!! But, that’s not all!! In addition to the original novella, I will be including a never-before published short story entitled Never Been More Ready which features fan favorites Leah and Declan! Moving onto that cover!! A huge thanks to my amazing cover designer, Sarah Hansen with Okay Creations and my very talented photographer K. Keeton. Also, I have to give a shout out to my beautiful cover models Lindsey Houser and Nathan Weller for once again bringing Clare and Logan to life. So without further ado, here is the cover and blurb for Ready to Wed!! Comments Off on Ready to Wed – Cover Reveal!! 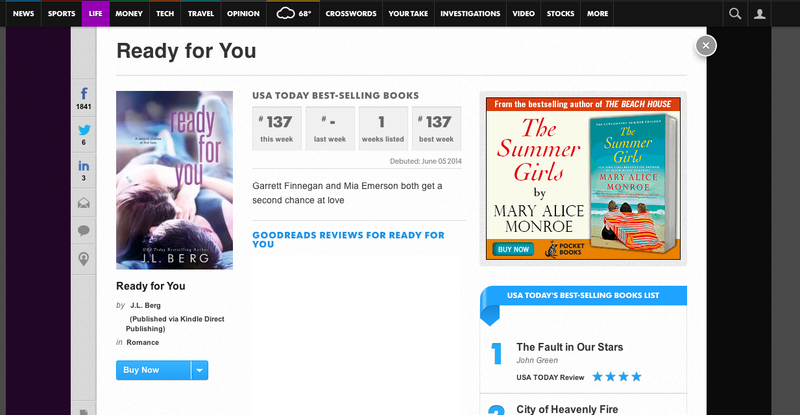 Ready for You is LIVE!!! Make sure you grab your copy of the latest installment of the Ready Series!! ON SALE at a reduced introductory price for TWO DAYS ONLY!! Comments Off on Ready for You is LIVE!!! Ready for You – Chapter ONE! Okay, so here I am on a beautiful sunny Tuesday morning, sipping my coffee…going through emails and suddenly I realize it’s Tuesday. Yeah, I know. It’s not a newsflash. But when you work from home, the days sometimes all mesh together and you forget…a lot. On Tuesdays, I like to do this thing on my Facebook page called Teaser Tuesdays. I’ll either post a few lines from the current manuscript I’m working on, or if we are getting ready for a release….I like to do a big, pretty graphic teaser. Those big, pretty graphic teasers take time. I’m incredibly picky. Naturally, I start to panic. I don’t have two hours to make a teaser, but I want to give my readers SOMETHING! What do you give your readers less than a week before a release when they are practically at your doorstep, begging you to hit that damn publish button already? Ready for You – CHAPTER ONE <—- CLICK HERE!!!! Comments Off on Ready for You – Chapter ONE! News, Updates and a Prologue?? Oh, My! It’s May, which means the Ready for You release date is quickly approaching!! Well, if you’re not…I’m going to make sure you are!! Starting today, the first two novels of the Ready series will be on sale for $0.99 for a limited time! If you’d like to catch up on the previous novels, now is the time! Pre-Orders and release day Sale! Great News Kobo and iTunes users! You can now pre-order Ready for You!! Also, for ALL pre-orders and purchases made the first TWO days of release week, the purchase price will be discounted to $0.99 so make sure you take advantage and buy EARLY!!! If you’re caught up, and seriously can’t wait for Garrett and Mia…well, here is a little something to hold you over! A huge thanks to everyone who bought and spread the word about Exposed! It was a huge success! 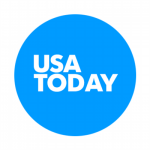 So huge in fact that during its 10 day run, it made USA Today!! Thank you!!! Comments Off on News, Updates and a Prologue?? Oh, My! Ready for You – COVER REVEAL!!! Cover Reveal for Ready for You! Another cover reveal for the Ready Series!! A big thanks to my photographer K. Keeton for yet another beautiful cover shoot. To my cover models, Cameo and Zach Hopper – thank you so much for bringing Mia and Garrett’s love to life. Lastly, a huge thanks to my cover designer, Sarah Hansen of Okay Creations for creating another beautiful cover for this series. 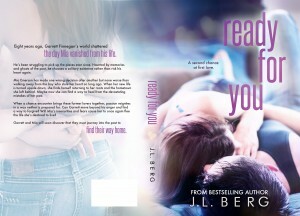 Without further ado, here is the blurb and gorgeous cover for Ready for You – coming May 26th! Comments Off on Ready for You – COVER REVEAL!!! I’ve been told over and over that I need to do a newsletter. The word “newsletter” scares the bejesus of our me. It sounds so formal and…repetitive. Like, do I have to do that all the time? I can barely remember to feed my dogs. If you haven’t noticed, I have a brand new website! It’s pretty awesome! Make sure you take a moment to stop by and admire all the pretties! I have up to date event listing, upcoming book titles and you can purchase signed books! You can now (finally) order both signed copies of When You’re Ready and Never Been Ready. I also have limited edition signed copies of Pink Shades of Words (Ready to Wed). I’m so excited to be part of this awesome anthology! The first book of the Ready series, When You’re Ready, will be part of this limited time anthology. Make sure you grab this amazing anthology on April 15th! 10 FULL LENGTH NOVELS for 99 cents! It will only be available for a very short time, so make sure you grab it quickly!! The Ready Series novella, Ready to Wed is still available through the Pink Shades of Words Anthology through the end of May. 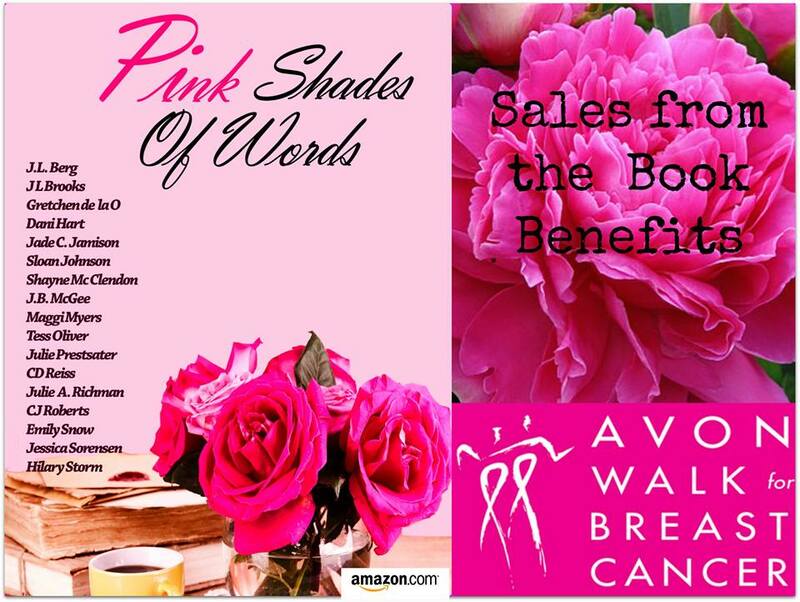 All proceeds from the sale of this book are donated to the Fifty Shades of Pink Avon Breast Cancer Team – Santa Barbara, CA. Ready for You (Ready #3) is coming soon! The release date has been set for May 27th! Mark your calendars! Garrett and Mia’s story is almost here! Cover Reveal and official blurb coming later this month! A standalone! Coming in August!! In addition to liking my Author Page or friending me on Facebook, you can now join our brand new group! Berg’s Book Junkie’s was created as a place for my readers to go and ask questions, post fan made teasers, and chat amongst each other. I also like to post little extras in there, like unreleased teasers and blurbs! Make sure you join!! Okay….PHEW…I think that all the updates I can possibly handle for now!! By adding your email address, you will receive an email every time I post a new blog post, which isn’t that often. Remember the dog comment. I’m very forgetful. Comments Off on Newsletter-ish type update! 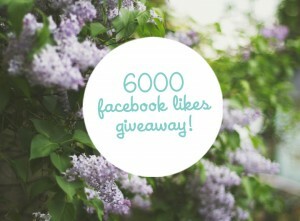 As a thank you to my Facebook followers for reaching 6,000 LIKES, I am holding a special giveaway!!! Six additional winners will also win a signed paperback of their choice from The Ready Series! This giveaway is now open and will remain so for the next week! Comments Off on 6K Giveaway is LIVE! Never Been Ready is LIVE!!! Finally, after months of waiting, Never Been Ready is LIVE and available worldwide!!! Make sure you get your copy at its introductory price of $2.99. This price won’t last long!! Comments Off on Never Been Ready is LIVE!!! The PROLOGUE from Never Been Ready! 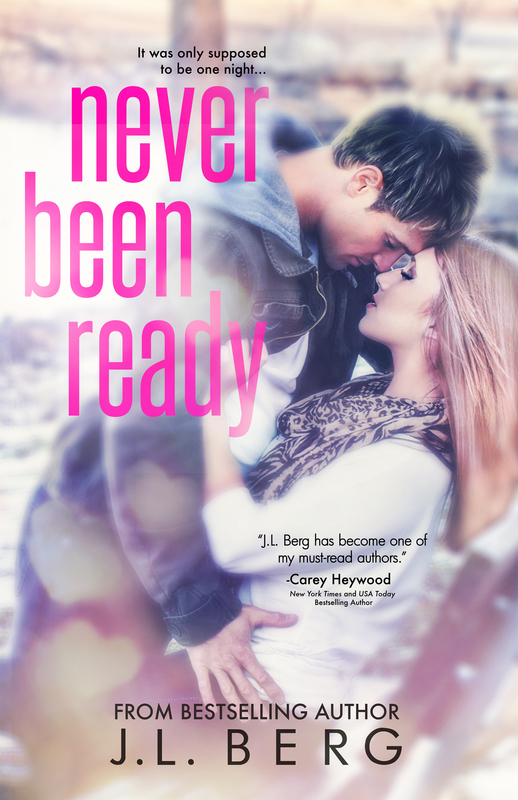 There are only two weeks left until the release of Never Been Ready, the highly anticipated follow up novel in the Ready Series!! I can’t wait to share Leah and Declan’s story with everyone! To hold you over for the next fourteen days, here is a little something – the prologue, in its entirely! Comments Off on The PROLOGUE from Never Been Ready!